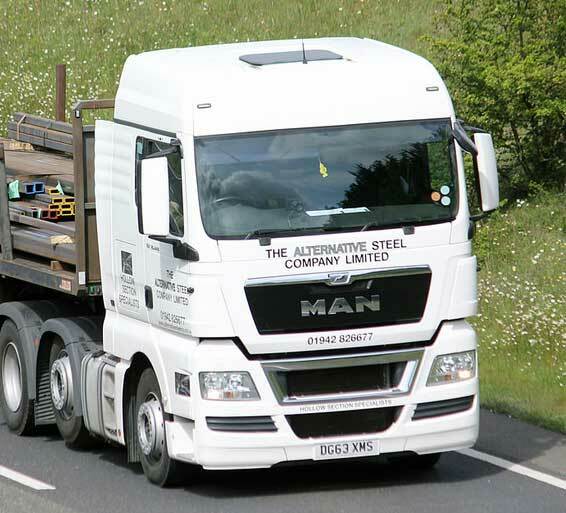 Founded in 1994, The Alternative Steel Company has rapidly become one of the foremost names in the UK, circular, square and rectangular hollow sections, structural steel stockholders market. Drawing from around 5,000 tonnes of physical structural steel stock, our customers enjoy an unrivalled range of products and services, and with quality mill support we are able to supply fully certified steels at the most competitive prices around. Ongoing capital investment in processing equipment ensures that we can provide fast and cost effective solutions to most structural cutting requirements, whilst operating our own transport fleet allows us to service most of the UK within 48 hours from receipt of your instructions.